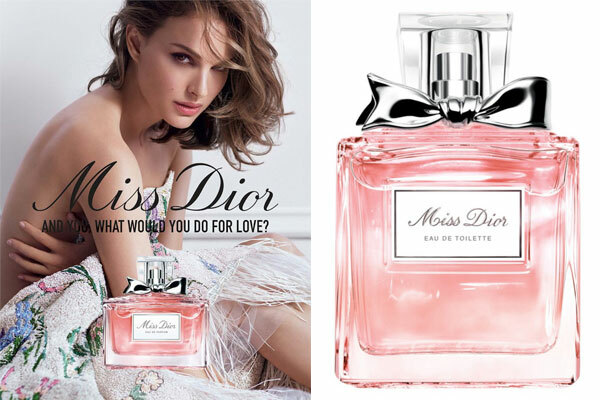 Miss Dior Eau de Toilette (2019) by Dior - This reinvented perfume is a new fresh floral version of the original Miss Dior Eau de Toilette for women. The new fragrance, created by Dior in-house perfumer Francois Demachy, includes notes of blood orange, mandarin, Grasse rose, lily of the valley, jasmine, and patchouli. 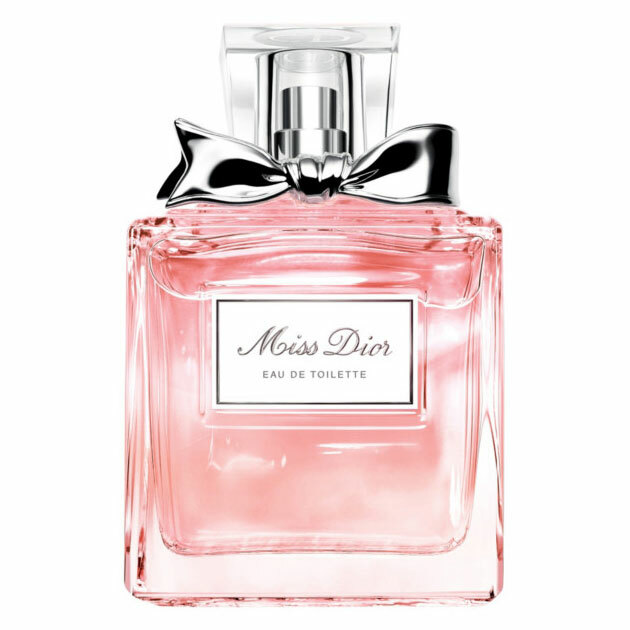 The original Miss Dior perfume bottle features a pink hue and silver bow accent. Launched in March 2019 this new scent described as "a vibrant rose wrapped in a veil of lily-of-the-valley" and available in an eau de toilette spray, roller-pearl, and matching body products at Macy's, Sephora, and ULTA. The ad campaign features actress Natalie Portman photographed by Mikael Jansson. 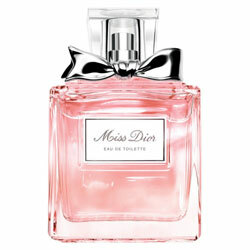 Package Design Original Miss Dior perfume bottle with pink hue and silver bow accent. Notes of Mandarin and Blood Orange - A sparkling citrus cloud composed of Blood Orange and juicy Mandarin flutters around the heart of this creation. Grasse Rose and Lily of the Valley Accord - The spicy burst of Grasse Rose swirls with a luminous Jasmine. The floral duo is wrapped in a fresh veil of Lily of the valley. Essence of Indonesian Patchouli - A clear Patchouli subtly binds together the happy notes of the Miss Dior Eau de Toilette. Miss Dior Eau de Toilette is a fresh and heady composition: The sparkling zests of Blood Orange and Mandarin illuminate the top notes. At the heart, Lilly of the valley brings freshness and lightness to the spicy burst of Grasse Rose. A base of clear Patchouli brings these happy notes together in an endless round. I created this fragrance like a fresh whirlwind, to let the rich and luminous beauty of the centifolia rose unfurl. At the heart of Miss Dior Eau de Toilette, the light and brillant Centifolia rose unfurls its full luminous beauty. I wanted to give it a unique and refreshing quality with a Lily of the valley accord. This Miss Dior Eau de Toilette Roller-Pearl is tiny but totally luxe ($38, sephora.com).